UFO SIGHTINGS DAILY: Alien Face Found Using Google Mars Map Shows Human Features, UFO Sighting News. 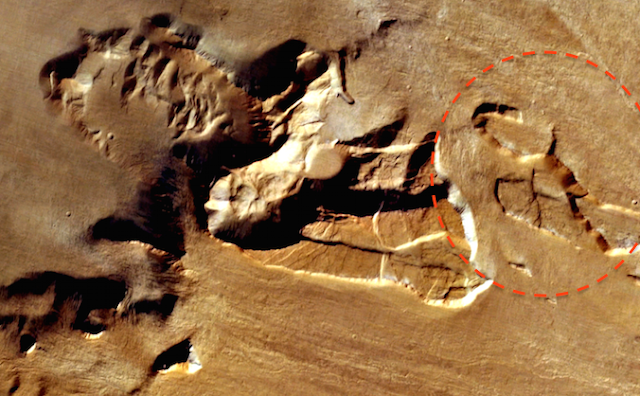 Alien Face Found Using Google Mars Map Shows Human Features, UFO Sighting News. This extraordinary face was found by Sandra Elena Andrade of Youtube. The close up really shows the detail above of the eye, nose, nostril, mouth and chin with protruding cheeks. 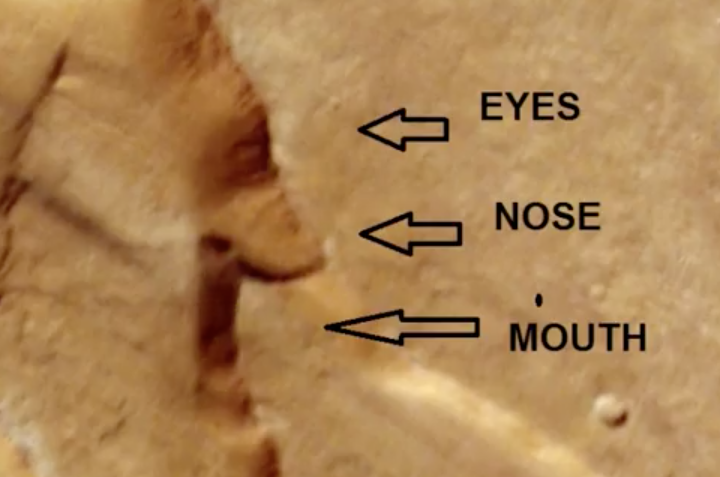 Only by finding these faces are we ever going to know about all the species that exist in our solar system. Hats off to Sandra for the great discovery. THE DISCOVERY OF A NEW ROSTO ON MARS BY MARCELO IRAZUSTA RESEARCHER IS A GREAT CONTRIBUTION IN SEARCH OF CIVILIZATION IN THE RED PLANET. IMAGE IS ON NEXT COORDINATE YOUTUBE 22 ° 6'53.84 "N 132 ° 50'03.42" W AN INTERESTING FACT IS YOUR CLOSE TO IMAGES OF LION AND THE MONKEY MARS. ITS DISTANCE IS 65 KM AWAY. EL DESCUBRIMIENTO DE UN NUEVO ROSTO EN MARTE POR PARTE DEL INVESTIGADOR MARCELO IRAZUSTA CONSTITUYE UN GRAN APORTE EN LA BÚSQUEDA DE CIVILIZACIÓN EN EL PLANETA ROJO. 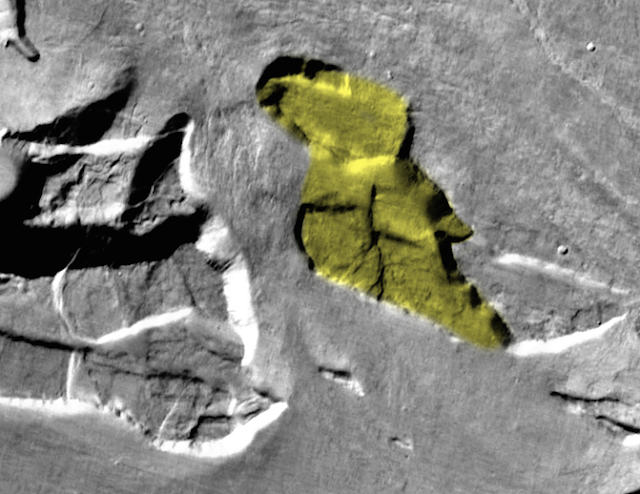 LA IMAGEN ESTÁ EN LA SIGUIENTE COORDENADA DE YOUTUBE 22°6'53.84"N 132°50'03.42"W UN DATO INTERESANTE ES SU PROXIMIDAD A LAS IMÁGENES DEL LEÓN Y EL MONO DE MARTE. SU DISTANCIA ES DE 65 KM APROXIMADAMENTE.